The US government implemented plans a few years ago to remedy the economic crisis which entangled our society. The stimulus risks are many because a) we never learn from our mistakes, b) we’re talking about a lot of money, c) we’ve previously witnessed money disappear and be unaccounted for, d) a lot of people are anxious to get their hands on even a small piece of the stimulus package, and e) there are already signs of stimulus fraud. In general terms, we got into this economic mess, especially the disastrous housing and mortgage situation, because at some point, accountability and oversight vanished. As a society, we fall victim to greed or fear mongering which occurred on 9/11. Oversight and its importance can never be underestimated and when people get comfortable enough to dismiss and violate the rules, ignore monitoring and compliance with the rules, or when we blindly trust a third party like our government or banks with our money, best practices and controls start to naturally and intentionally deteriorate because greed is always ready to take over when we start ignoring rules and values. Fraud created our mortgage crisis and fraud will result from economic stimulus. When cash was abundantly available forcing investors to look for risky investment options (with our money), and people were hungry for the all American dream at any cost, we became a greedy nation and almost collectively participated in the all out fraud. After all, it’s our human nature to want more for nothing. Having been an advocate of governance for most of my professional life with passion for controls and oversight, the mortgage fraud was so obvious and widespread that I had to pinch myself a few times to make sure I wasn’t dreaming. Many people with no education or experience easily became involved, opened offices and websites, and started selling mortgages for licensed mortgage brokers. College students who knew nothing about completing a mortgage application nor had any mortgage expertise, started making side money from selling mortgages which was way more than what people were earning for hard labor. Everyone was involved and collaborated; banks closed their eyes on undocumented incomes as they took on high risk investments and even supported brokers asking for more high risk applications, mortgage brokers pushed through thousands of piled up mortgage applications without any verifications of income for more commission while they kept applicants ignorant about the details of the financing, and people happily applied to buy homes with unreasonable incomes, home prices, and interest rates. What happened to the days when bankers went to the applicant’s place of work to verify the information provided in the application? We either never seem to learn from our past experiences or our knowledge is short lived. The government keeps printing, borrowing and distributing money in trillions of dollars to keep the economy going. With the help of the government, "selected" banks who received free money, acquired banks which did not receive any money to survive. This is not a natural selection within a free economic market. The government decided who gets to survive and who doesn’t and it will cost consumers dearly at the end. With the various stimulus programs some still underway, fraud is to be highly expected. Not only predators are targeting the government for a piece of the billions set aside to solve various economic crisis, people are getting emails from fraudsters asking for personal information to be included in the stimulus program. In some cases, fraudsters even ask for bank information to wire the money directly into the accounts. Once more, greed takes over and some people fall into the stimulus fraud scheme and witness even more money disappear from their bank accounts as if deflated housing values and reduced 401K account balances were not enough to learn from and avoid getting additional financial hits. When do we say enough is enough, and stop playing the game of easy money for nothing? Don’t reply to emails that promise free money, period. Actually, in one case, the fraudster asked for a stimulus application fee before emptying the bank account. So I guess in this case, it wasn't a promise of money for nothing. The government should start monitoring the distribution of taxpayer money and incorporate accountability and oversight. Also, consumers as well as government employees must be educated about various stimulus fraud risks to prevent fraud and identity theft. In this kind of social and economic climate when decisions are quickly made, fraud is inevitable and some people will fall victim to fraudsters while others will fraudulently benefit from the government’s giveaway, but we have to collectively be vigilant and reduce the risks. 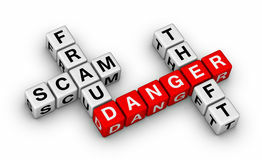 Return to the identity theft blog after "stimulus fraud".